i bake for you :): Shoooo! 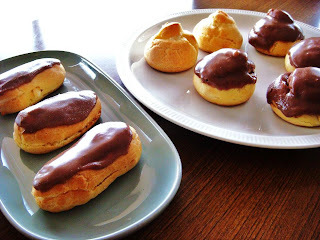 My first attempt at choux. 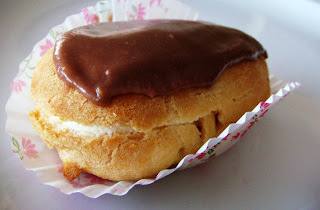 I used to call it 'chox' before I knew it was pronounced as 'shoo'. I like to read things in English, the way it's spelt. Haha. Anyway, it was a success! Very tedious, but I had a lot of fun along the way. 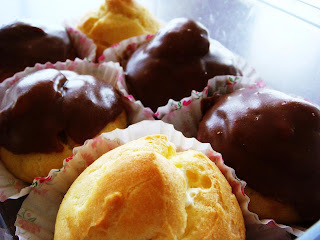 Next time, when I don't have ganache and cream that I really wanted to use up, I'm going to make a croquembouche! 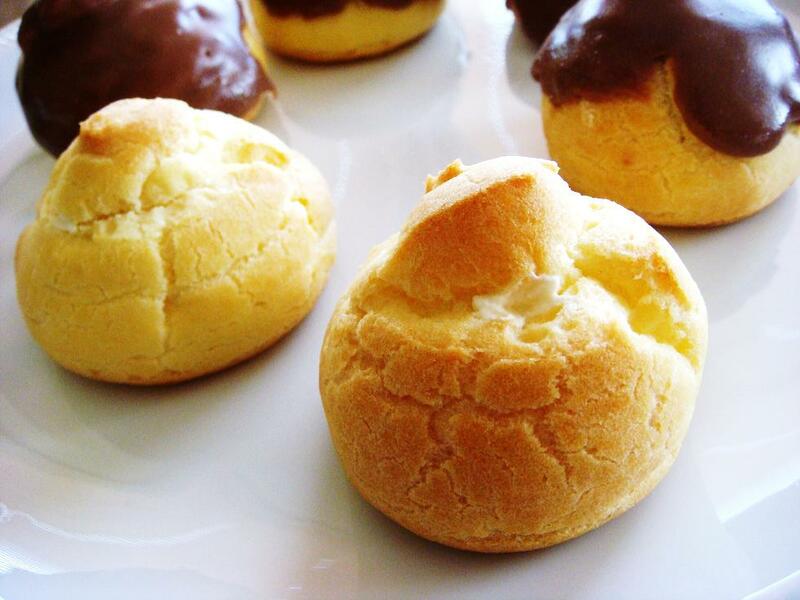 One made of mini choux balls. :D Then I can have fun spinning sugar~ Hehe. 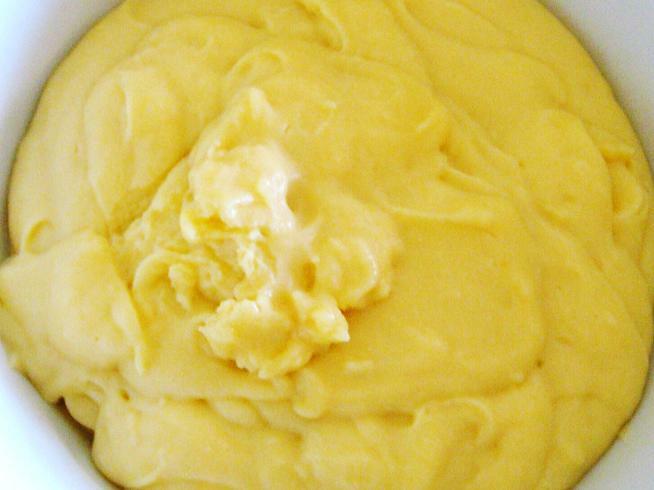 In a large saucepan, melt butter in water over low heat. Bring up to a boil when the butter has completely melted. Turn off the stove. Add the flour to the butter, mixing to form a paste. 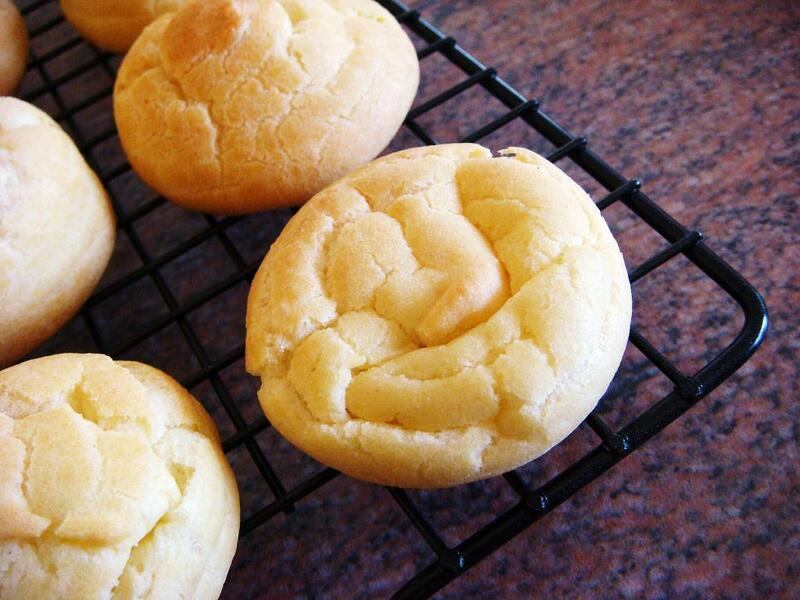 The paste should start looking like a dough and the edges should come off cleanly from the sides of the pan. Leave to cool slightly for about 15mins. Make sure the mixture is slightly cooled before adding eggs. Slowly add eggs while beating the mixture. Beat until smooth and glossy. Pipe mixture onto lined baking trays. Bake for 10 minutes at 220C, then for another 10mins or so at 180C. My choux babies grew! I'm so proud of them! 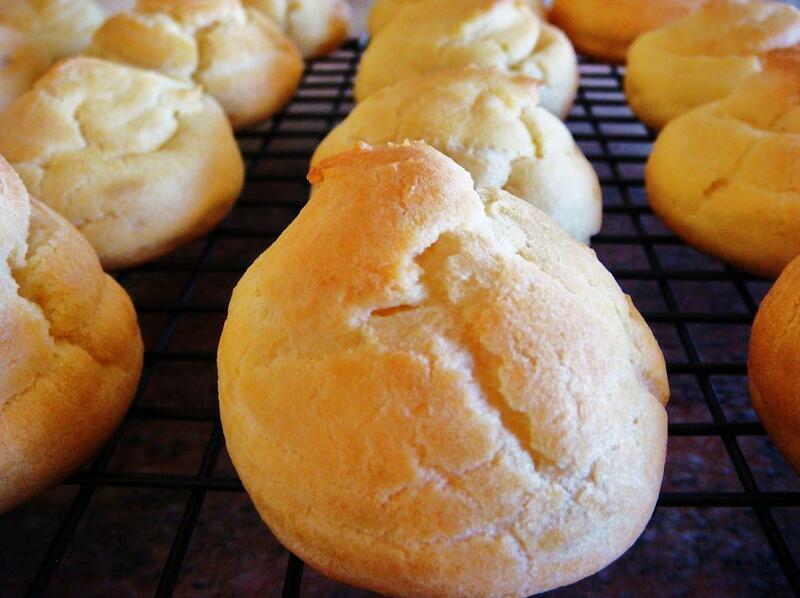 Whisk egg yolks with sugar until pale and thick. Heat milk on low until just boiling. Remove from heat and allow to cool slightly. Add egg sugar mix to the milk, then stir in the flours. Beat over low heat until mixture thickens. Cover with clingwrap and allow to cool before using. 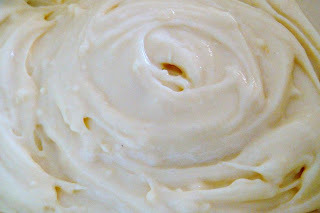 When cooled, beat whipped cream through for a lighter smoother paste. 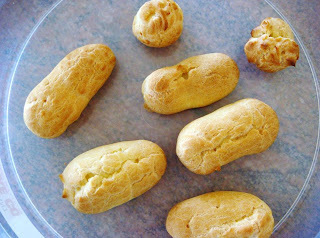 Pipe into choux pastry cases. Haha I too used to call it chox, they should spell stuff like you say it. They look great nice work.